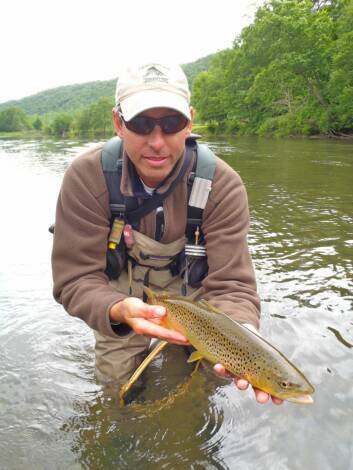 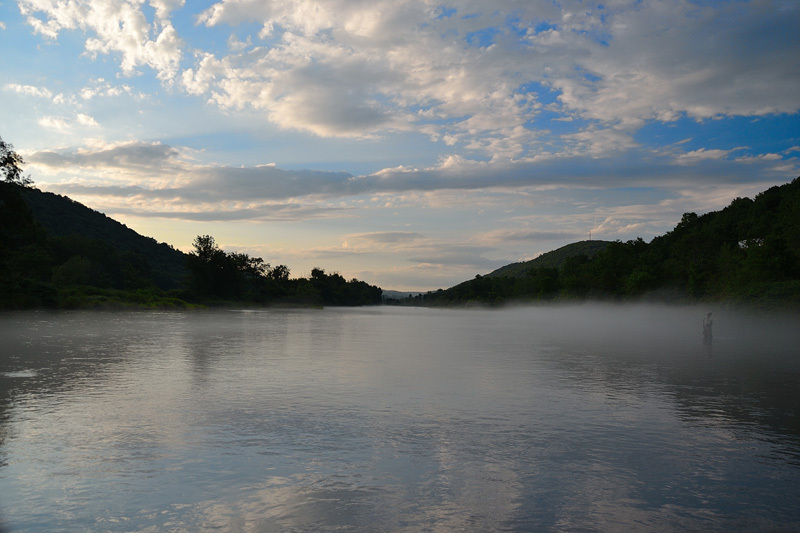 Our first hosted week on the West Branch of the Delaware is in the books. 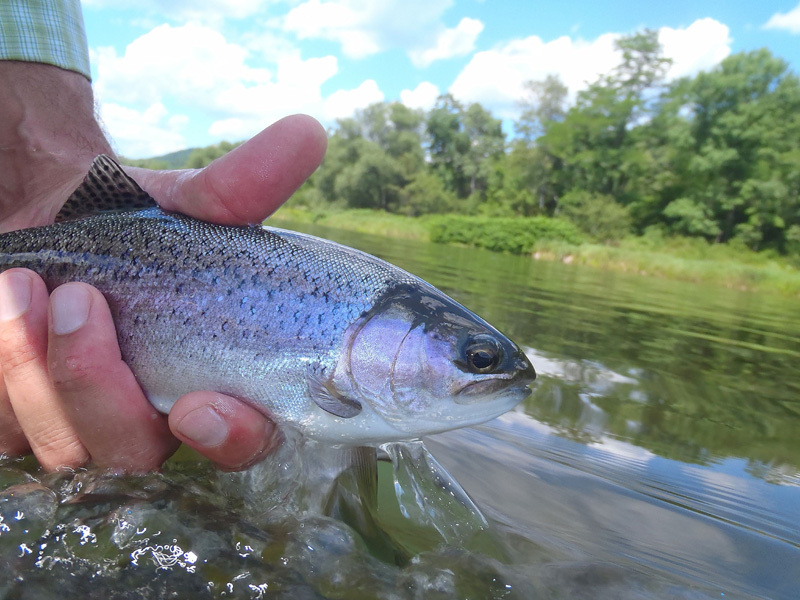 We had a great group of guys this year, and we saw great water conditions on the West Branch, and phenomenal sulphur hatches each afternoon, with lots of rising fish--many of them 18"+ ! 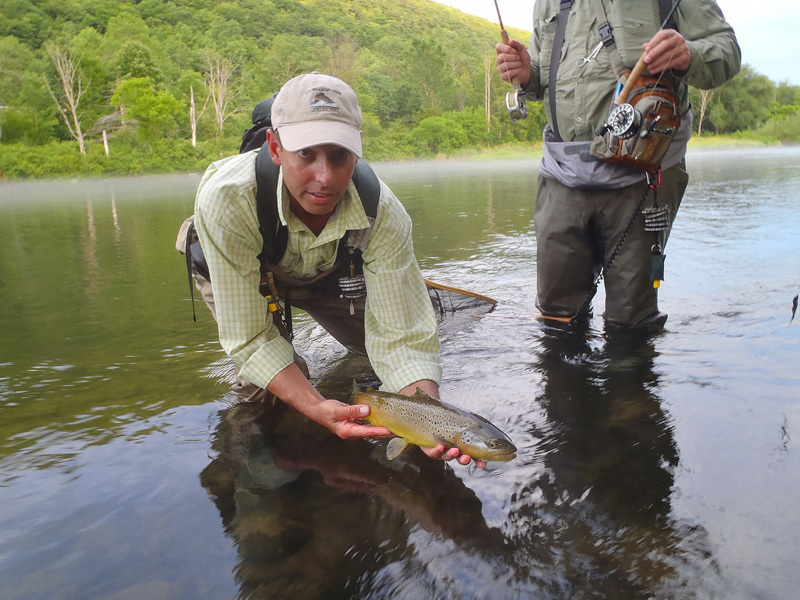 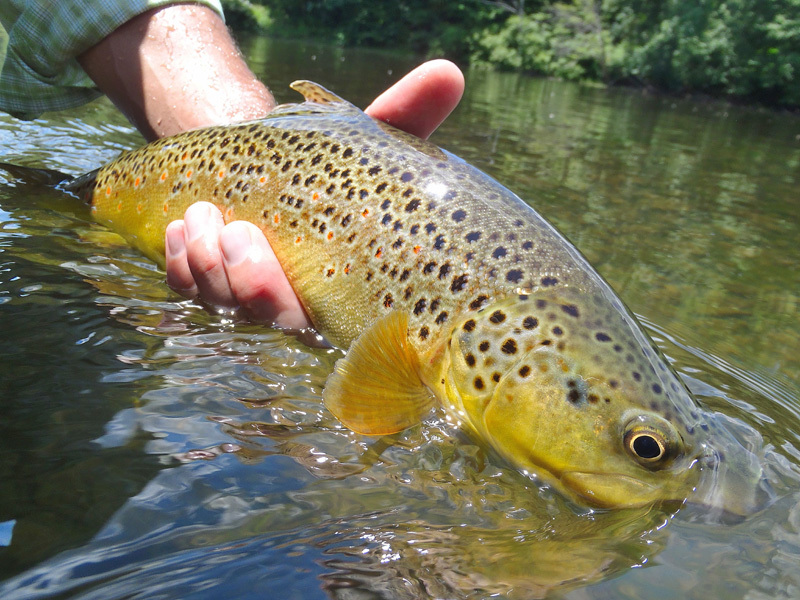 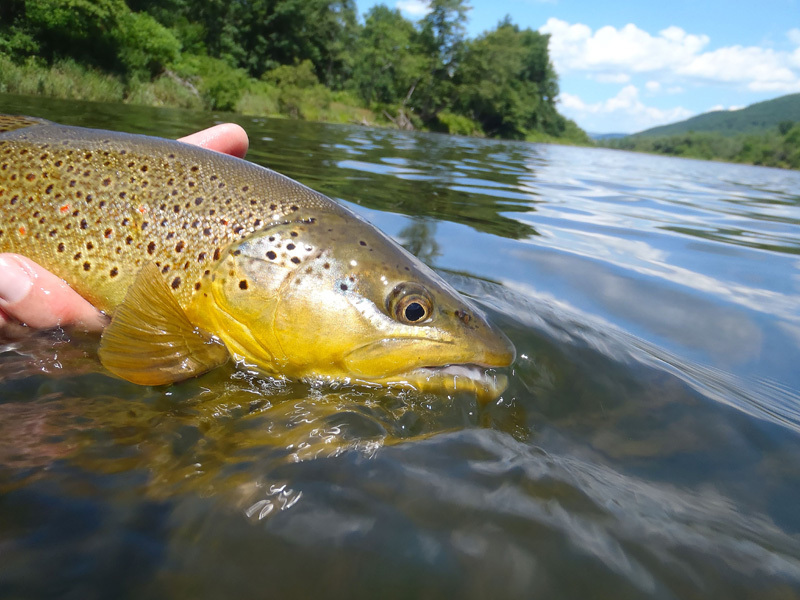 These fish are not easy to fool, and this river could be considered the graduate school of dry fly fishing. 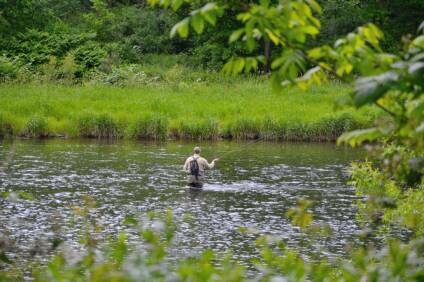 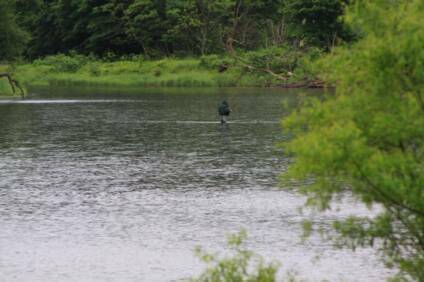 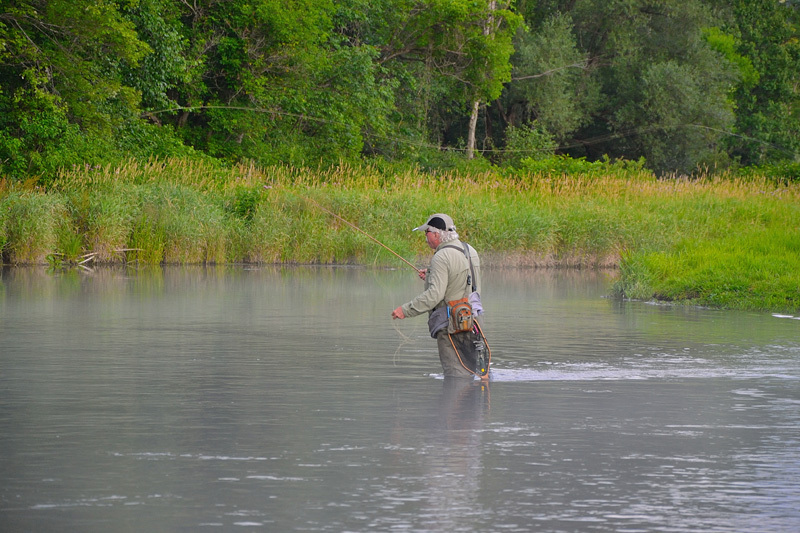 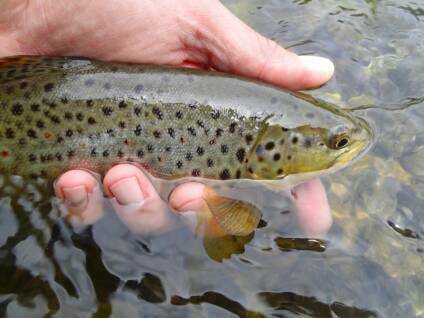 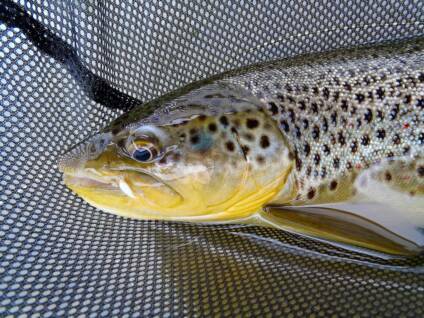 Precise, drag free drifts, the proper fly and stealthy wading are necessary to fool these wily, wild trout. 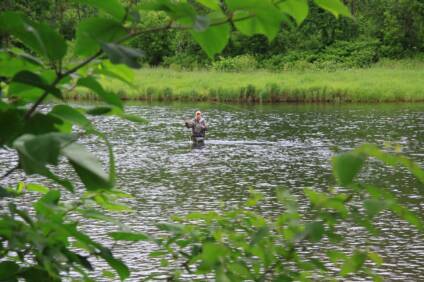 As long as I have a fish feeding on the surface to keep me occupied, I am happy-and we had plenty of them this trip. 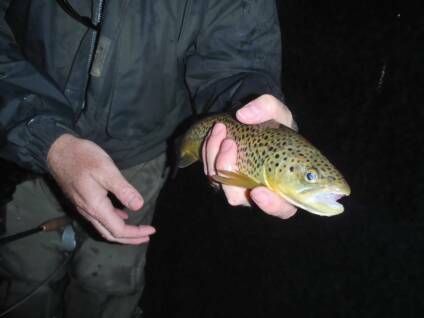 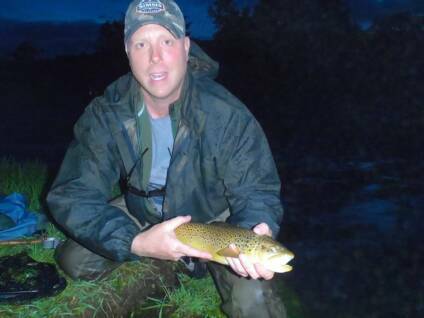 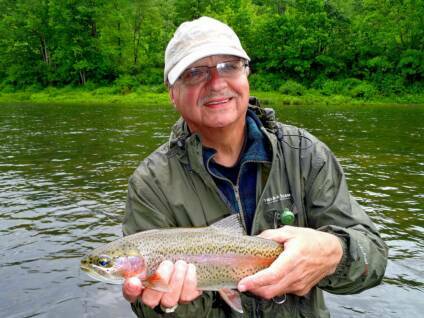 We caught mostly browns, but a few fiesty 12-16" rainbows were landed as well. 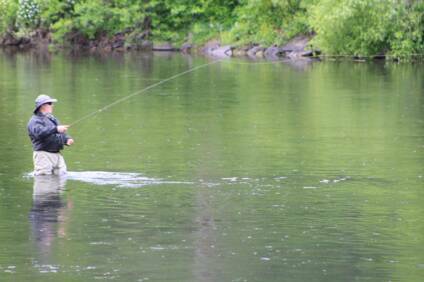 It was a fun trip to a challenging river, and we'll be back at it again next year. 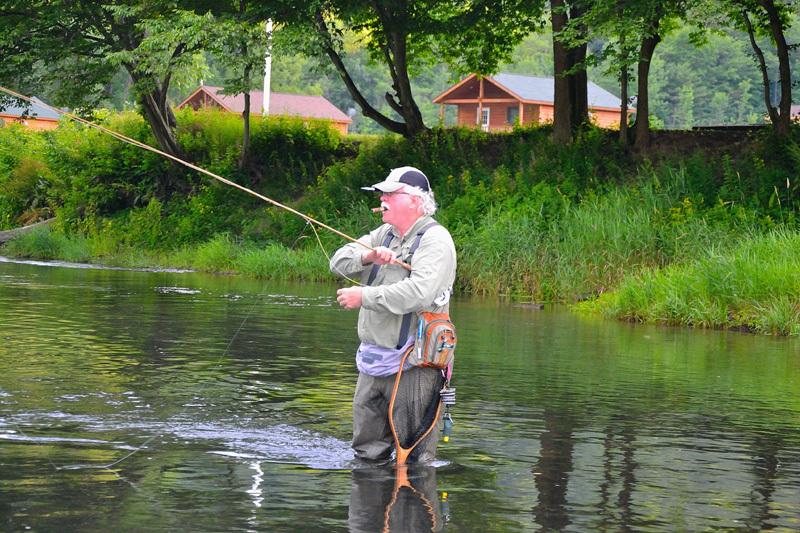 Thank you to all the guests who joined us this year! 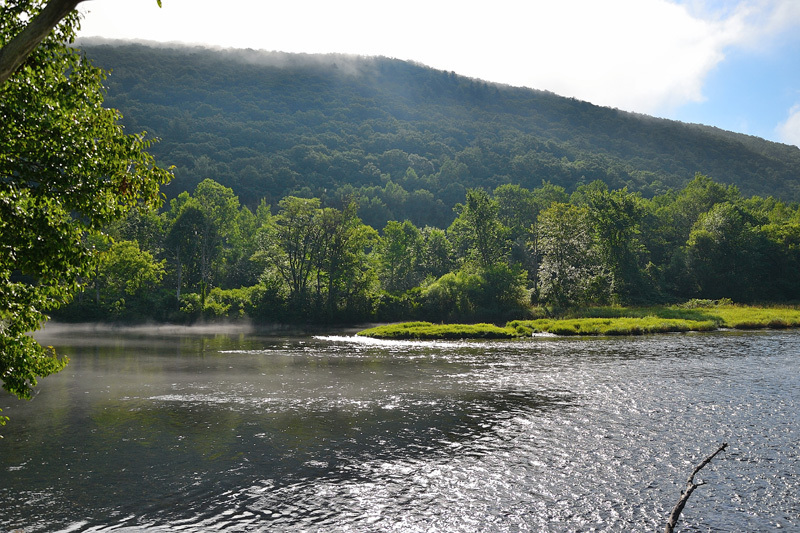 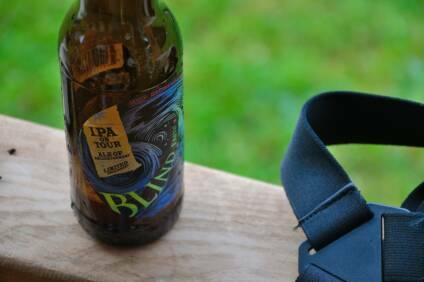 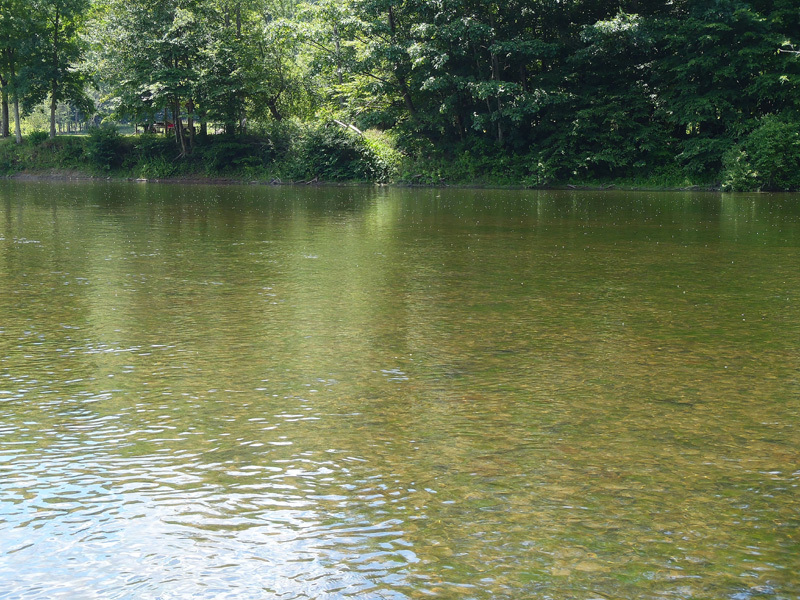 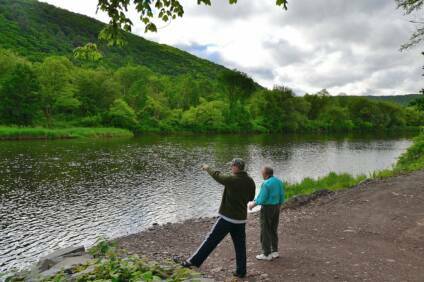 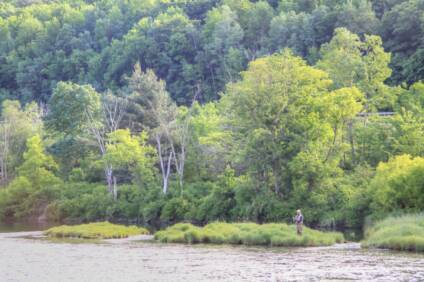 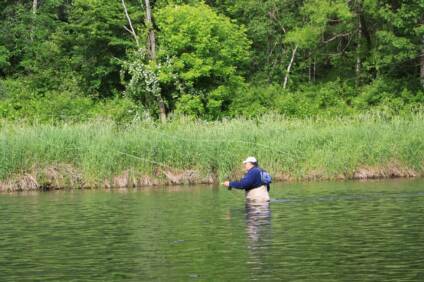 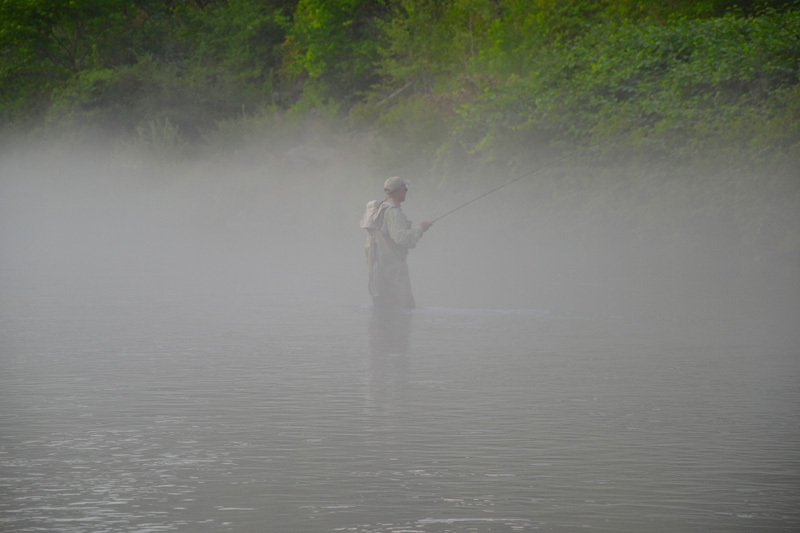 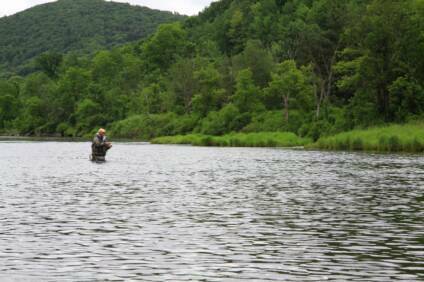 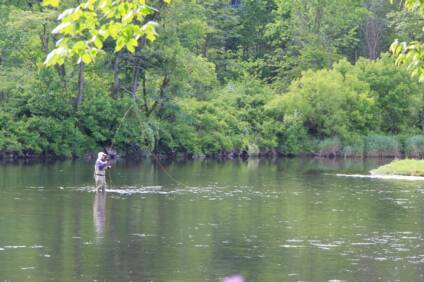 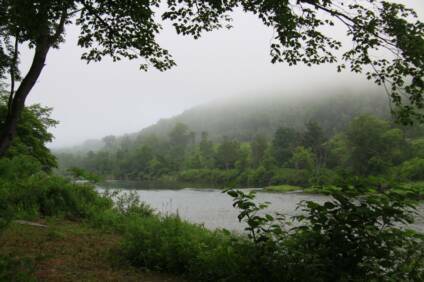 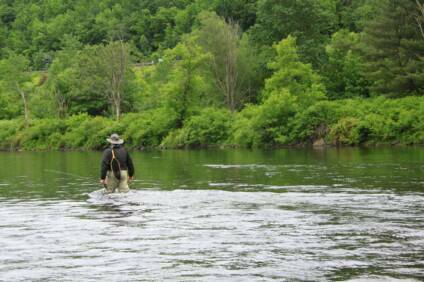 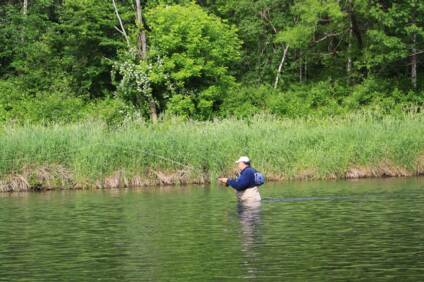 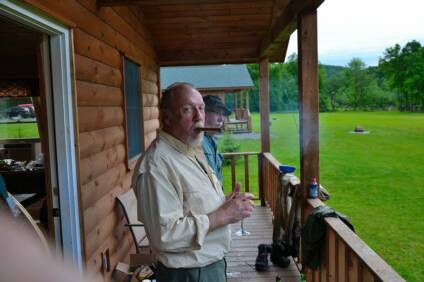 If you dont like to fish for large, wild rising trout on beautiful rivers, and return at the end of the evening rise to a comfortable cabin along the river, to relax with a couple cold beers or single malt scotch while talking about the day on the water, please don't come on this trip.